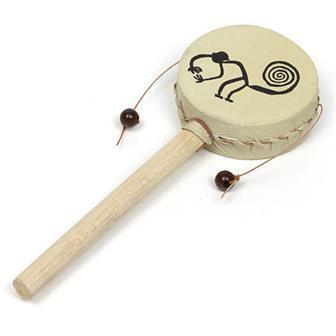 A global range of simple to use, great sounding hand drums. From Bali, our basic pellet rattles, either plain, giraffe, sun patterned or recycled from old drinks cans! 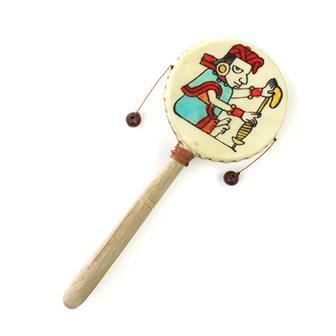 From Peru, our Nazca line rattles and from India our fantastic damrus. A favourite of Delhi street vendors attracting a customer! This is a great musical instrument for kids and grown-ups alike. These pretty little drums are hand made in Peru and feature designs inspired by the famous Nazca Lines. These, the larger of our two Nazca hand drums, are hand made in Peru and feature designs inspired by the famous Nazca Lines. The Nazca Lines are enormous and mysterious markings located in the Nazca Desert in Peru. 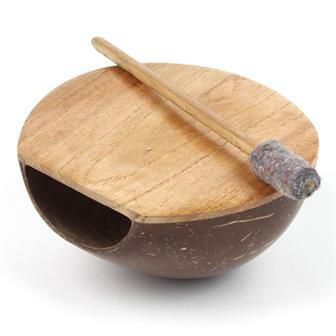 Known variously as pellet, monkey or rattle drums, these Balinese made instruments create a fantastic loud sound. The drums are played by vertically placing the handle between the outstretched hands so that the head is above the thumbs. By rubbing the hands together the drum rotates causing the attached beads to quickly strike each face. 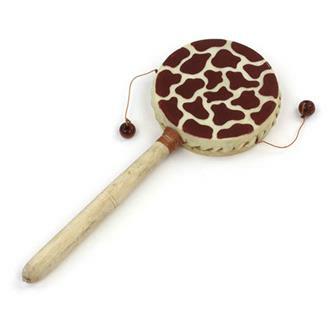 Inspired by our extremely popular Kenyan hand drum, this item has been hand made in Indonesia and features a smoother turned handle and more distinct giraffe markings. 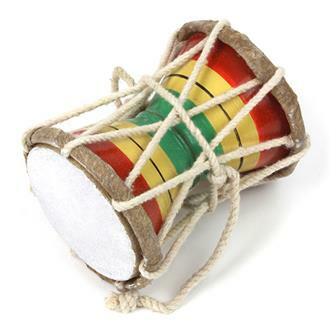 This smaller hand drum is also known as a pellet drum and is often used by street traders in India to attract the attention of potential customers. 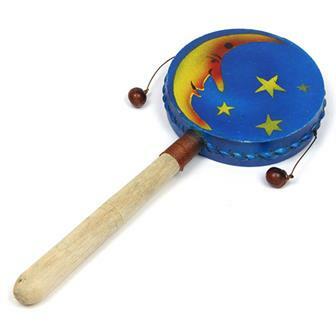 Sometimes called a monkey drum, this instrument has been decorated with an airbrush painting of a sun or moon. 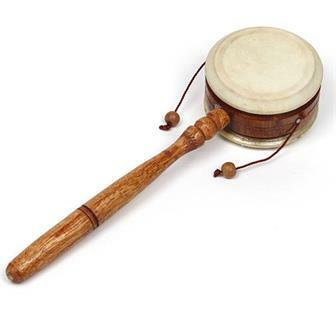 Hand held, half coconut shell drum. Ply or soft wood face with an effective sound that can be modified by adjusting the palm's coverage of the hole. Comes with beater. Simple but functional mango wood hand drum made in India. These are often used by street vendors to attract the attention of potential customers. 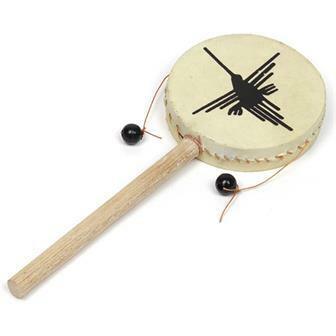 The drum is held in its middle and shaken rhythmically, allowing the arms to strike the skin.